Commuters can now avail of a new premium point to point (P2P) bus service from Cainta, Rizal to Makati City, according to the Department of Transportation (DOTr). The DOTr said P2P buses of RRCG Transport with routes from Robinsons Cainta to Trasierra Street in Makati were launched last Monday. The buses charge regular fares of PHP90 and PHP72 for students, senior citizens and persons with disabilities (PWDs). 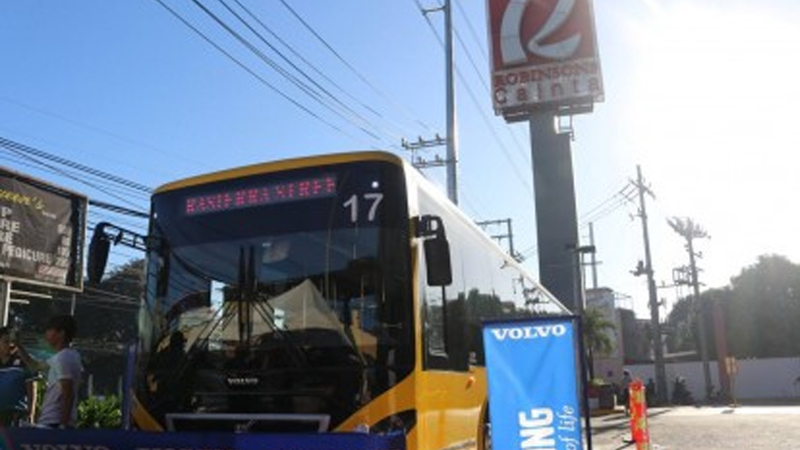 “The new P2P bus route was made possible due to the collaboration of DOTr, Land Transportation Franchising and Regulatory Board (LTFRB) and RRCG Transport,” the DOTr said in a statement on Tuesday. Four buses operate each route daily with the earliest trip from its terminal in Cainta leaving at 5:30 a.m. and the last bus departs at 5:30 p.m. Meanwhile, the first bus from Trasierra leaves at 7:30 a.m. while the last trip at 8 p.m.
Latest data from the DOTr show that there are 37 routes being serviced by P2P buses in Metro Manila & the provinces of Cavite, Laguna, Rizal, Bulacan, Pangasinan, Zambales and Pampanga.